There are a number of benefits to having partners for your Teen Science Café, whether they are local or within the TSC Network. The Gateway TSC Node in St. Louis, MO is made up of three sites: The Saint Louis Science Center, the Academy of Science-St. Louis, and Cahokia High School. These three sites provide support for each other by dividing up responsibilities for recruitment of scientists, website management, social media, and grant writing. The Academy takes the lead on website management and social media, while the Science Center heads up grant writing. All three sites take turns recruiting scientists. Each partner is responsible for finding and training one scientist per semester; the other two partners cover the other months. In addition, the evaluation forms for each cafe are coordinated so that each site can maintain their record keeping according to their respective organizations’ format, while also collating the information in the evaluations for grant writing purposes. When it comes to seeking funding, it is often easier to receive grants and awards when multiple partners are involved. Not only does partnering with other organizations lighten the workload for adult leaders, the teens benefit as well. In the Gateway TSC Node, the teen leaders from the different sites work together to critique the scientists’ presentations during dry runs, provide feedback on the hands-on activities, and plan for the cafes. In addition, teen leaders attend a fall training and a spring end-of-year celebration together. These retreats provide an opportunity for teen leaders to learn from each other, be a part of a supportive network of teens, and work with others from backgrounds that are very different from their own. If being a part of a local node is not an option, TSC sites can still form local partnerships with other non-profit groups. Some TSCN members partner with groups such as 4-H to aid in café activities, while other sites partner with universities to aid in scientist recruitment. The chances are good that there are other organizations that support the mission of TSCs and are willing to form a partnership. Long distance collaborations are also a great option, given that there are several methods of electronic communication, including Skype, Zoom, and FaceTime, to name a few. New sites can benefit from mentorship by more established sites. The Gateway TSC Node has worked with a new site that is a few hours away in Farmington, MO. Through long distance communication and a few in person meetings, the Farmington site was able to utilize resources provided by the Gateway Node, such as the SynBio Kits. Partnerships are of great value to TSCs for many reasons. Establishing effective modes of communication, sharing responsibility, and providing support for one another not only make TSCs run more smoothly, but set a great example for the teens in this program. 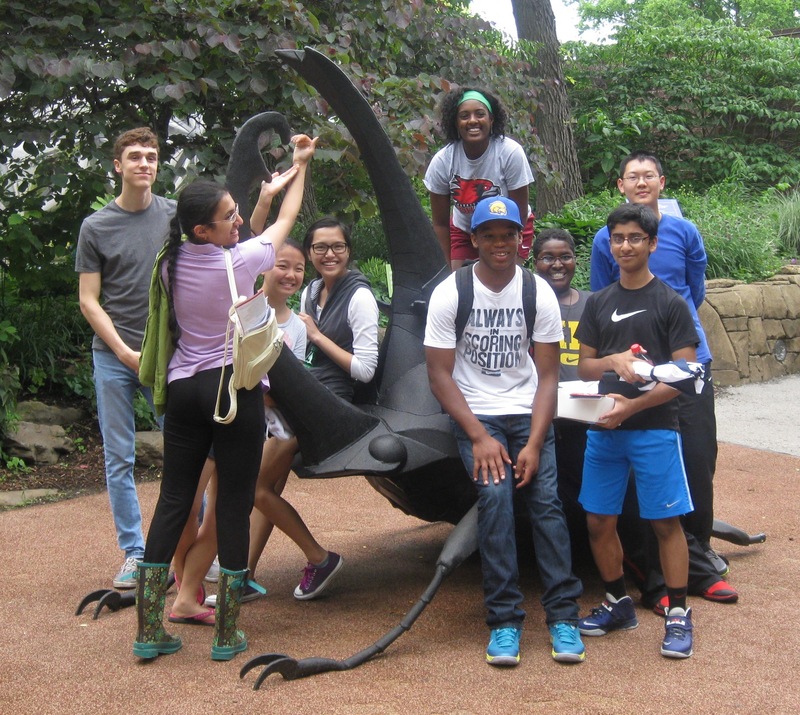 The hope is that the teens in this program will gain valuable experiences with science and leadership, but there is also the opportunity for them to develop a better understanding of how to work together in a professional setting at the organization level, and not just with the other teens sitting at their table. TSCs have the potential to offer more to the teens than even they realize.